A very special hello to all you lovely ladies who have made me feel very welcome. It is lovely being part of such a fabulous group.Your comments are very much appreciated and I thank you for them. As I have not conquered this monster yet ( very new to computers!! ) 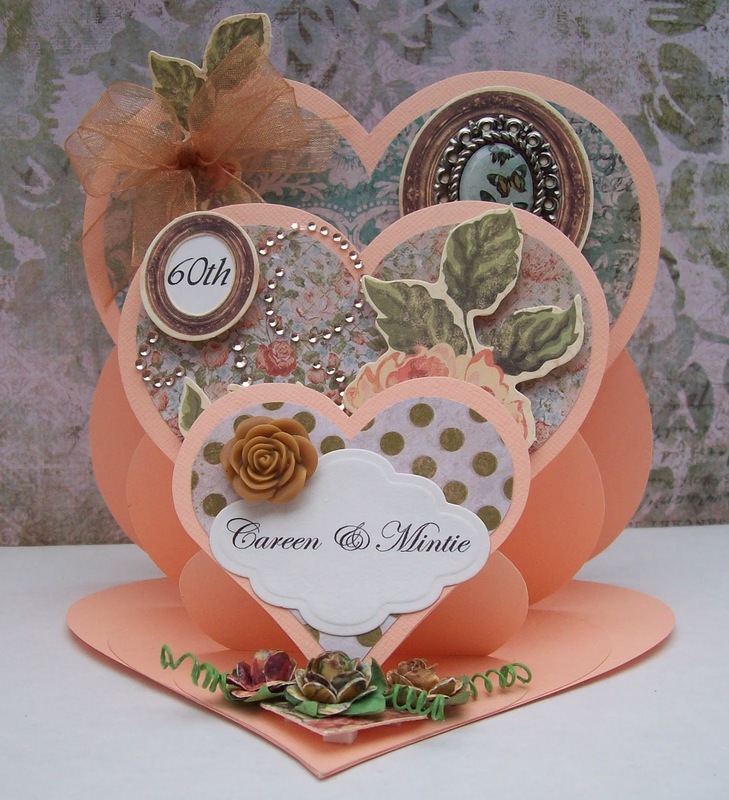 thought I would share with you some cards I have done using Sara's Templates on my blog here. I am ever so thankful that I found them, as I so enjoyed making them. Hopefully, I will get to the stage where I will be able to add to the site itself. 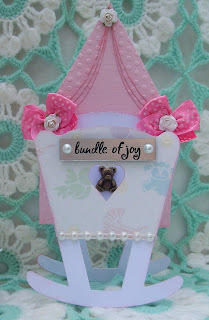 How about a cradle card for the new baby. My baby's shawl and booties!! He's now almost 40!! 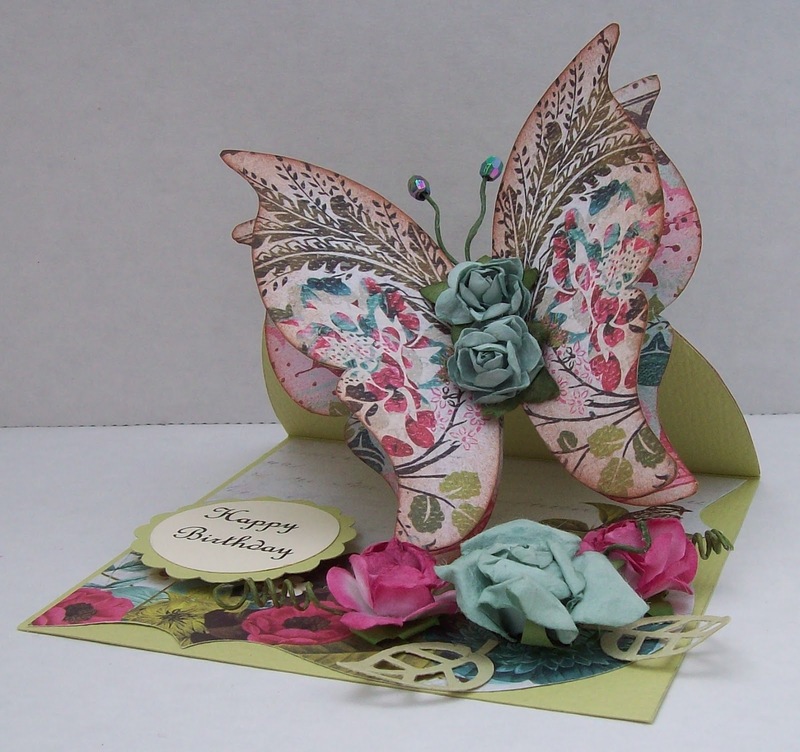 The last one I have done so far, is the Butterfly Easel card. Turned out lovely! Do hope you ladies will find this link. Will definately be working towards improving my computer skills. 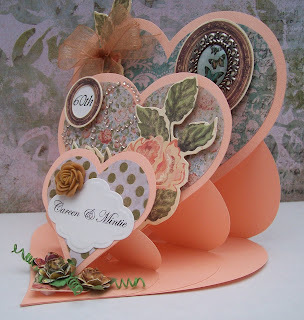 WOW these are fantastic - they are absolutely gorgeous. I would love to have a go at making them but cannot find a link to the templates. 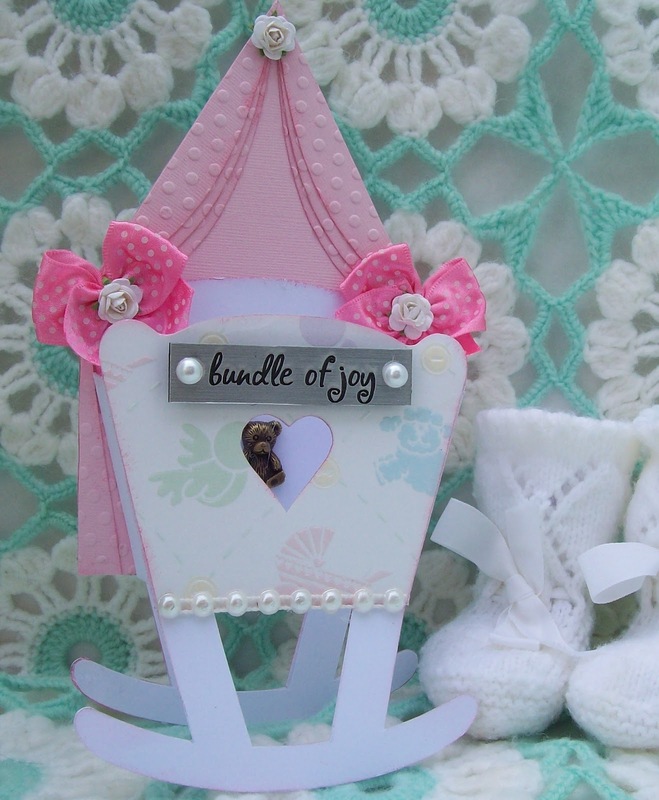 Betsy, what a good job you have made using Sara's templates. 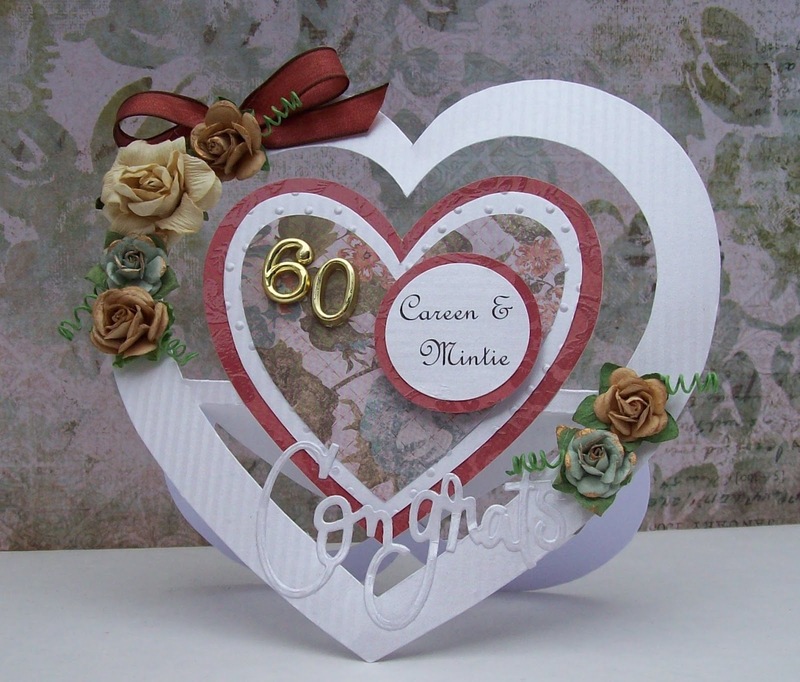 There are so many lovely designs for members to use. I love that triple heart easle card. You've made it beautifully. WOW Betsy - these are just stunning. I love that Butterfly card - I hope you can share how you made it! Love Love Love! And I'm going to join Sara's site now. Need some inspiration for Wednesday's card class! I live in beautiful Geraldine, New Zealand, retiring here from the Catlins about 2006. I have lived with my very tolerant and encouraging husband for over 50 years, and we have a strong Christian faith. We have a grown family of four and ten lovely grandchildren. 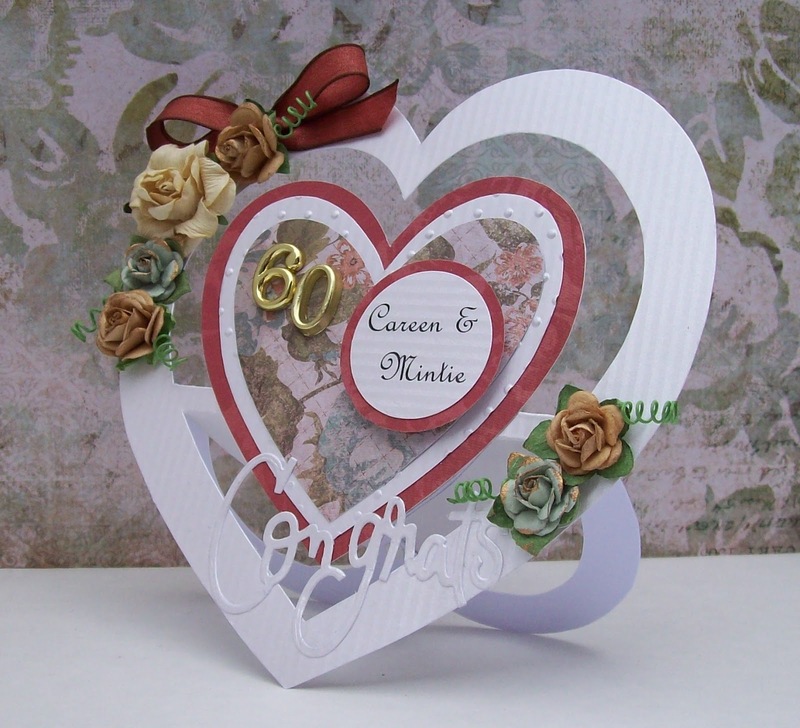 Many forms of craft have been my passion for years, but patchworking and card-making have taken precedence.